There are 5 Memory Care Facilities in the Ruskin area. To help you with your search, browse the 11 reviews below for memory care facilities in Ruskin. Better rated regions include Sun City with an average rating of 5.0 out of 5 stars. Caring.com has helped thousands of families find high-quality senior care. To speak with one of our Family Advisors about memory care options and costs in Ruskin, call (855) 863-8283. The population of Ruskin is close to 20,000, including 1,940 (9.7 percent) people aged 65 and over. Hillsborough County, Ruskin's home county, has some 1,409,600 residents, and 23,925 (17 percent) of them are likely to have Alzheimer's disease or dementia, according to Elder Affairs. Nine memory care facilities are in the immediate vicinity, with one being in Ruskin and eight in nearby Tampa, St. Petersburg, Sun City and other surrounding communities. Assisted living facilities that wish to house and care for Alzheimer's patients must observe Florida law and get an Extended Congregate Care license. Ruskin is home to world-class medical facilities, including those specializing in brain health and dementia care, such as St. Joseph's Hospital - South. South Bay Hospital is just a few miles away in the event of a medical emergency or illness. Families and seniors who appreciate nice weather enjoy the comfortable climate in Ruskin that has no snowfall, summer high temperatures of 91 degrees and winter lows of 51. The average U.S. city has 205 sunny days while Ruskin has 244. Average yearly rainfall is only 13 inches more than the national average, at 52 and 39 inches respectively. These benchmarks earn Ruskin a Sperling's Comfort Index of 80 out of a possible 100, which is 26 points higher than the U.S. average index. Crime rankings are measured from one for lowest to 100 for highest crime rates. Ruskin's 45.7 violent crime rank is 14 points higher than the U.S. average of 31.1, and its 43.4 property crime rank is only five points higher than the national average of 38.1. Memory care facilities often have an added layer of protection with security systems and personnel. Another benefit to living in Florida is its lack of a state income tax. This is especially nice for those families with a senior member who receives a retirement pension or Social Security payments. The extra money can be applied toward the cost of memory care in Ruskin. Memory Care costs in Ruskin start around $0 per month on average, while the nationwide average cost of memory care is $4,800 per month. It’s important to note that memory care rates in Ruskin and the surrounding suburbs can vary widely based on factors such as location, the level of care needed, apartment size and the types of amenities offered at each community. Ruskin and the surrounding area are home to numerous government agencies and non-profit organizations offering help for seniors searching for or currently residing in an assisted living community. These organizations can also provide assistance in a number of other eldercare services such as geriatric care management, elder law advice, estate planning, finding home care and health and wellness programs. To see a list of free memory care resources in Ruskin, please visit our Assisted Living in Florida page. 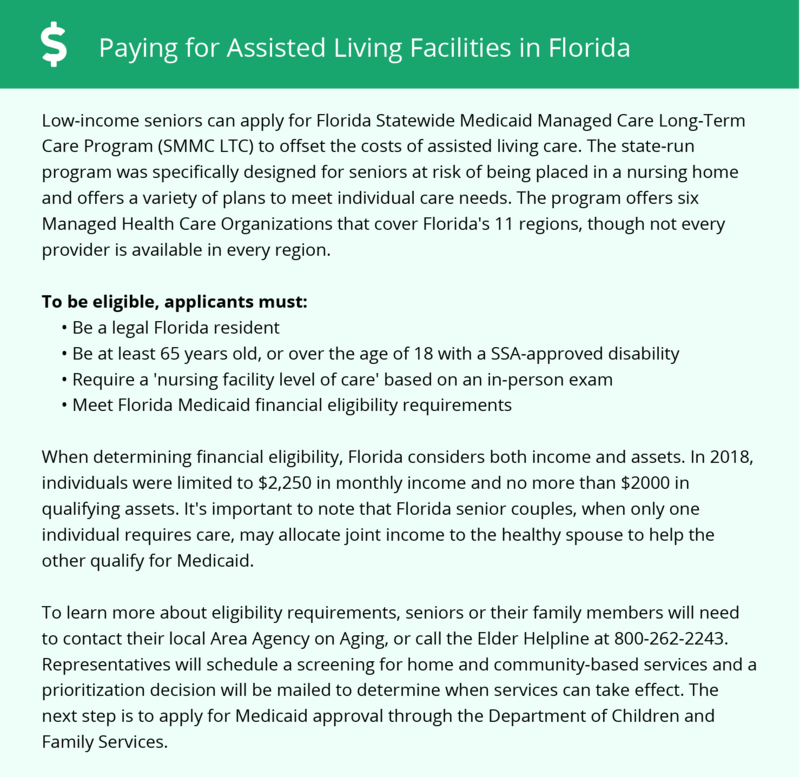 Ruskin-area assisted living communities must adhere to the comprehensive set of state laws and regulations that all assisted living communities in Florida are required to follow. Visit our Memory Care in Florida page for more information about these laws.